Last year he was a fluffy bundle. Now he has grown into young Master Hare. In between nibbling and snoozing, he takes the odd stretch. Is he dreaming of Spring? Can we just get on with it now please, before I fall asleep again!!! 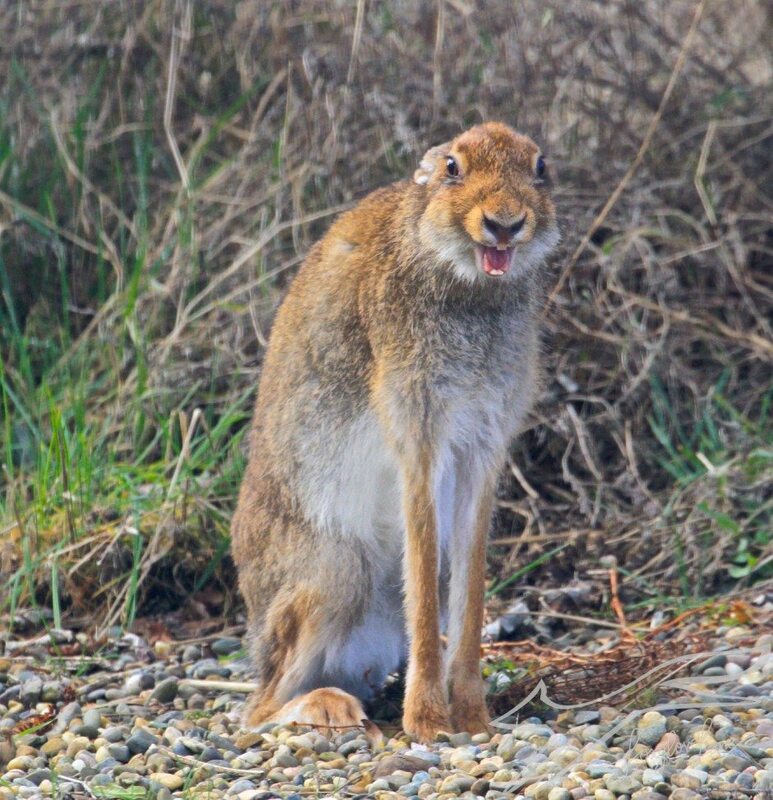 Oh these are priceless especially the yawn or laugh…seems the hare is laughing at our lack of spring here….. I know Donna…..what a funny face! Oh what wonderful poses you've caught him in. O they do but it's so hard to find it and photograph it!! Thank you Kerri! 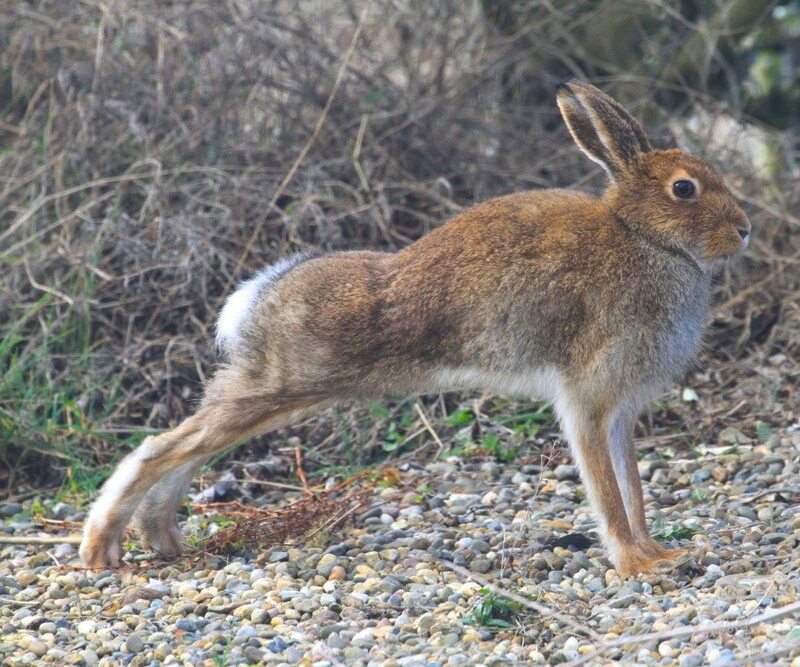 These hare pictures are wonderful, you were at the right moment to capture the hare when he had just awakened. And the last picture,as if he is laughing at you, hahaha. I know Janneke, that slightly creepy yawning grin!!! 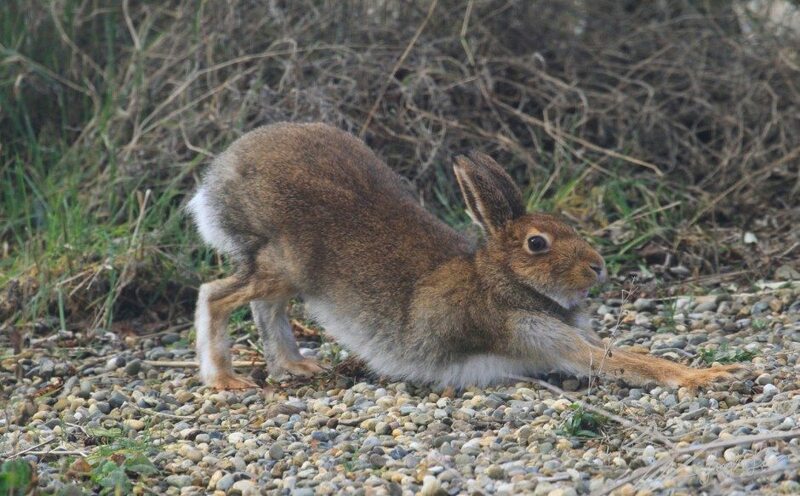 Incredible March Hare, awakening for spring time. 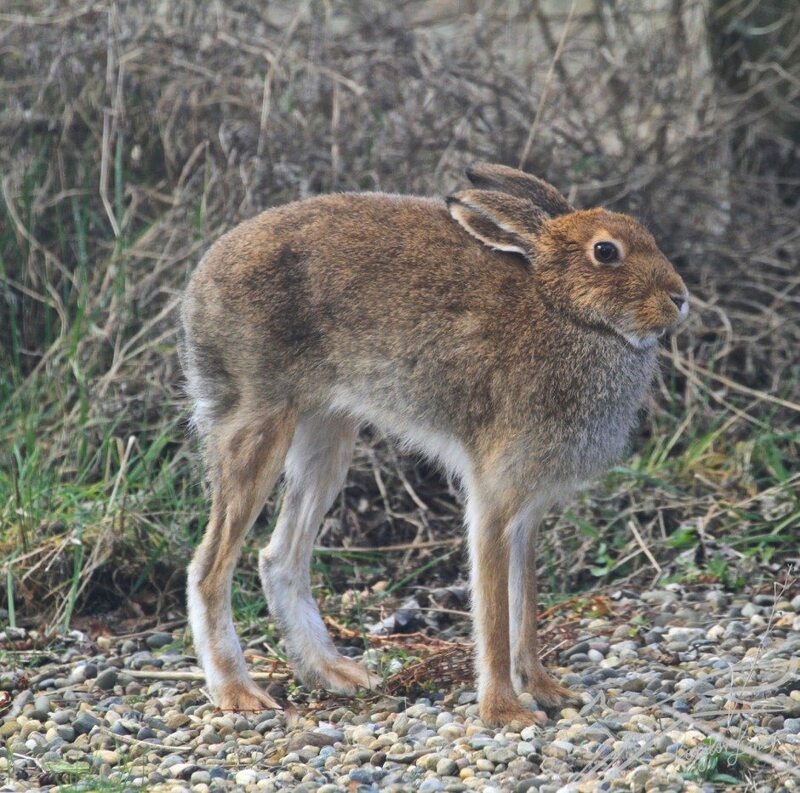 I am in love with all you hare pictures! Thank you Amelie! I mentioned your amazing photography as a link in my new section of tips for contemplative photography practice! These captures are so priceless! What a great yoga series to accompany the contemplative practice! Ha! I can see so many captions on greeting cards with this one! Love this Catherine…just love it! Amazing photos! This post made me Google hare vs. rabbit… learned some things today! 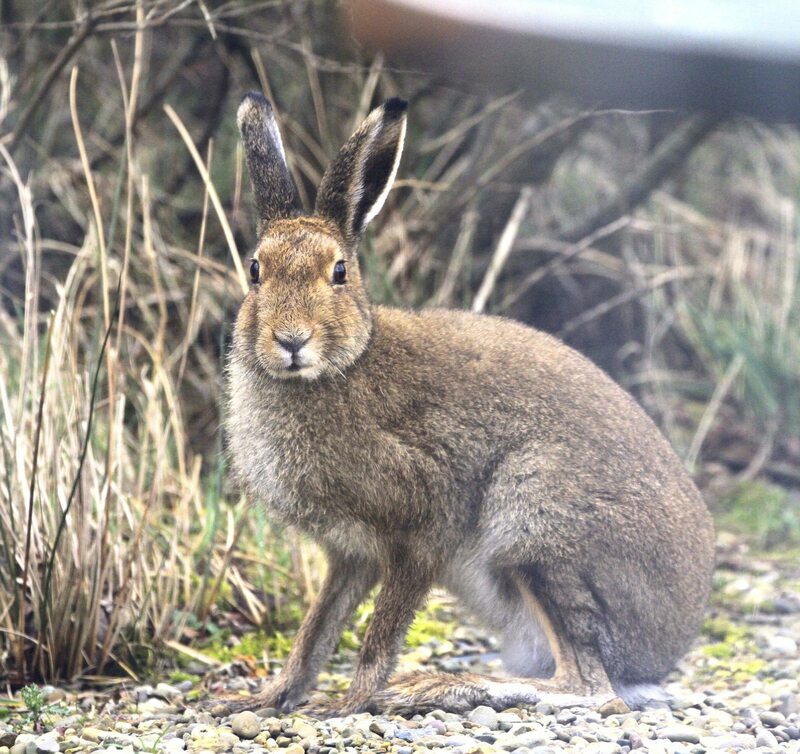 Nice to meet you Mary Anne…..I just popped into your blog and photos of Alaska and signed up……a kindred spirit…..
do tell, what did you do to make the hare LOL? !